KIRKWOOD, ALEXANDER, farmer, author, and civil servant; b. 17 Dec. 1823 in Belfast, son of Thomas Kirkwood and Mary Ann McKlean; m. first 10 July 1854 Camille Delphine Samson at Quebec; m. secondly 6 June 1889 Emily Frederica Stow in Toronto; he had nine sons and four daughters; d. 13 July 1901 in Toronto. Little documentation exists for Alexander Kirkwood’s formative years. His father, a farmer from Ballymurphy, County Antrim, evidently appreciated the value of a sound education, for he enrolled Alexander at age 15 in the Royal Belfast Academical Institution, where the young man studied from 1839 to 1841. Kirkwood developed a special interest in linguistics and returned to the institution in 1844–45 to study oriental languages. Later in life he would translate material for publication from French, Latin, and Russian. During his education he also acquired a keen interest in studying the natural sciences, especially for applied purposes. His views were similar to those expressed in 1777 by Benjamin Carrard, in a work which Kirkwood was to translate from the French and publish in Toronto in 1900 as The art of observing (a fragment). Kirkwood had expectations of entering the Presbyterian ministry. In 1846, however, at the onset of the Great Famine in Ireland, he instead joined a party of emigrants as a tutor, his occupation since graduation, and left Belfast for the United States. After a brief stint in New York City, he turned to agriculture, working in New York State on farms in Herkimer County and near Geneva. In 1852 he moved to Portneuf county, Lower Canada. Later he found employment with farmers in “Durham Flats” and Rivière-Saint-François. Shortly after arriving in the Province of Canada, he applied for an appointment in its newly created Bureau of Agriculture. Malcolm Cameron*, the minister, was impressed by the progressive ideas of the young Irishman, especially after reading an article on flax production Kirkwood had written for the Canadian Agriculturalist. Persuaded by Cameron, Governor Lord Elgin [Bruce*] commissioned Kirkwood to visit Europe in 1853 and report on the growth of flax and its manufacturing uses. The following year Kirkwood obtained a permanent appointment as a clerk in the Crown Lands Department. After confederation he continued on with Ontario’s Crown Lands Department, in Toronto, where he became senior officer in the lands branch, a position he retained until his retirement on 1 Oct. 1900. 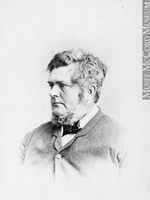 In the mid 1860s Kirkwood began to emerge from the obscurity of the civil service by writing material intended to advance the official settlement policies of Upper Canada and then Ontario. 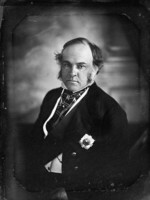 In 1864, for example, he wrote a pamphlet entitled Flax and hemp, in which he argued that these crops could be produced in the still unsettled territory between Georgian Bay and the Ottawa River. Similarly, in A short treatise on the milk-weed, or silk-weed, and the Canadian nettle . . . (1867), he claimed that these indigenous plants, considered to be “pests” by farmers, could be turned to industrial use. Kirkwood also commented regularly on agricultural and scientific subjects in letters to the Globe and the Week, both of Toronto. Occasionally he used the pseudonym Neptune when discussing fisheries matters. Kirkwood’s most significant work as a government promoter of agricultural expansion was an officially sanctioned book entitled The undeveloped lands in northern & western Ontario . . . (1878), written with his colleague Joseph J. Murphy. It reflected the concerns of the administration of Oliver Mowat during the late 1870s, when Ontario’s future seemed threatened both by the population drain to Manitoba and by the attraction the west had for British immigrants. Kirkwood and Murphy tried to dispel the belief, as they put it, that “settlement lands in Ontario were already exhausted.” To do this they drew upon the reports of surveyors, land agents, and others to show that “millions of acres” of cultivable crown land remained in the province’s northern townships and districts. Experience would prove that the climate and rugged terrain in these areas were ill suited for commercial agriculture, and that the pioneers lured by such promotional material and the offer of free homesteads could face a future of enduring rural poverty [see Thomas McMurray*]. 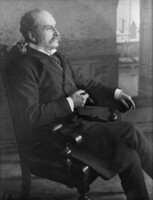 By the mid 1880s, however, Kirkwood himself had begun to modify his thinking on the agricultural future of northern Ontario in the light of a strengthening impulse in North America toward conservation, a movement which lay, for example, behind the formation of Yellowstone National Park (1872) and Rocky Mountains Park at Banff (Alta) (1887). As he became aware of conservation problems – desert conditions in Ontario’s southern counties resulting from the destruction of forest cover by settlers, depletion of the great pine-timber stands in the Ottawa valley, and declining fish and game stocks – he realized that certain lands should be reserved for purposes other than agriculture. Acting on this understanding, in 1885 he recommended to crown lands commissioner Timothy Blair Pardee* that the townships in the Nipissing District containing the headwaters of the Muskoka, Petawawa, Bonnechere, and Madawaska rivers be set aside as “Algonkin Forest and Park.” To stimulate public discussion of the idea, he published an open letter to Pardee in pamphlet form the following year. In calling for a park and forest reserve in Nipissing, he built upon a proposal first made in 1884 by Robert W. Phipps, clerk of forestry in the Department of Agriculture. Where Phipps had justified the reserve primarily in terms of managing the forest and conserving the watershed, Kirkwood broadened the rationale by adding recreation and the protection of game. The proposal gradually found support among timber operators, sportsmen, naturalists, urban intellectuals, and businessmen. Finally, in 1892, Kirkwood was appointed chairman of a royal commission to select the townships required for the park and to recommend suitable policies for its management. He himself collected the extensive background material required for the commission. After receiving its report, the Mowat government created Algonquin Park by special legislation in May 1893. Kirkwood is remembered largely for the prominent role he played in the establishment of Ontario’s first and most famous provincial park. Alexander Kirkwood’s article on flax production appeared under the title “On the growth and prospects of flax in the county of Port Neuf” in the Canadian Agriculturist (Toronto), 5 (1852): 336–37. His letter to T. B. Pardee was published as Algonkin, forest and park, Ontario . . . (Toronto, 1886). In addition, he is the translator of P. N. Werekha, An account of the forests of Russia and their products in comparison with the total territorial area and with the population, 1873 (Toronto, 1896). ANQ-Q, CE1-1, 10 juill. 1854. AO, F 644, MU 21; F 1011; RG 22, ser.305, no.14809; RG 80-5, no.1889-014478. DCB, Biog. subject file, information provided by F. S. Kirkwood (Ottawa), 14 June 1966. Public Record Office of Northern Ireland (Belfast), SCH 524/IA, 7 (Royal Belfast Academical Institution records, album 42, vol.II). Globe, 1867–1901, esp. 15 July 1901. Week, 1883–96. Commemorative biog. record, country York. R. S. Lambert with A. P. Pross, Renewing nature’s wealth: a centennial history of the public management of lands, forests & wildlife in Ontario, 1763–1967 ([Toronto], 1967). Ont., Royal commission on forest reservation and national park, Papers and reports (Toronto, 1893), also issued as Sessional papers, 1893, no.30 [Kirkwood chaired this commission and compiled the Papers and reports]; Report (Toronto, 1893), also issued as Ont., Legislature, Sessional papers, 1893, no.31; Royal commission on forestry protection and perpetuation in Ontario, Report, 1899 (Toronto, 1900), also issued as Sessional papers, 1898–99, no.35 [Kirkwood was one of the commissioners]. A. P. Pross, “The development of a forest policy: a study of the Ontario Department of Lands and Forests” (phd thesis, Univ. of Toronto, 1967). Audrey Saunders, Algonquin story ([Toronto, 1947]; repr. with revised maps, 1963). Morris Zaslow, The opening of the Canadian north, 1870–1914 (Toronto, 1971). Gerald Killan, “KIRKWOOD, ALEXANDER,” in Dictionary of Canadian Biography, vol. 13, University of Toronto/Université Laval, 2003–, accessed April 20, 2019, http://www.biographi.ca/en/bio/kirkwood_alexander_13E.html.